You can find 18650 batteries in a variety of devices nowadays, ranging from vaping machines to digital camcorders and e-book readers. The reason why these batteries are so popular is due to their high durability and great protection circuits which add an extra standard of potency overall. As a matter of fact, 18650 batteries perform almost twice as well as batteries of a similar size. Just having these great batteries on hand isn’t enough, however, because you are still pressed to replace them ever so often. With rechargeable versions, on the other hand, you get the capacity to not only make use of their tremendous power but to also recharge them at your convenience. To do that you need a reliable battery charger, which as you would imagine, are enjoying quite an increase in popularity nowadays. 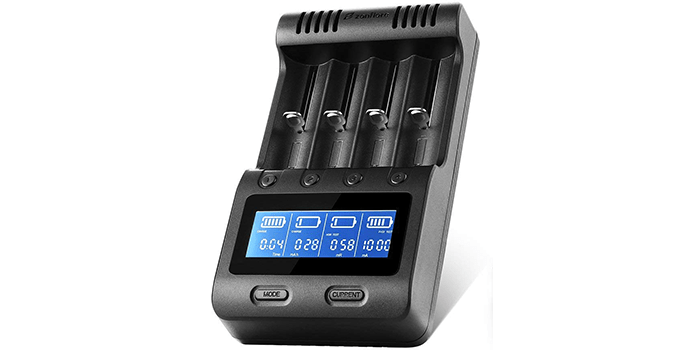 Let us then take a look at the ten best 18650 battery chargers the market has to offer and what makes them so good to begin with. 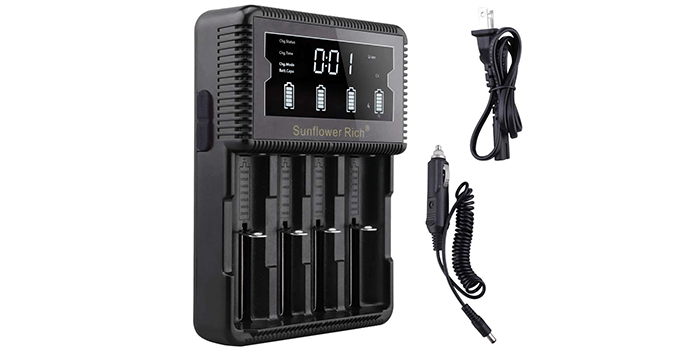 The Sunflower Rich LCD Display Speedy Universal Battery Charger is compatible with a wide range of rechargeable batteries including Li-ion, IMR, INR, ICR, LiFePO, Ni-Cd, and Ni-MH. It can charge up to 4 batteries simultaneously which ensures you always have battery power. On the front, the charger features a large LCD display that detects the battery type, voltage, charging status, and current automatically. The charger is compact and can be used indoors as well as outdoors, which is great because it also has a charger cable for the car charger port. Furthermore, it automatically stops charging the batteries once they are completely charged for added safety. The INLIFE LCD Display Universal Battery Charger is known as one of the safest chargers out there thanks to its advanced protection against short-circuiting, overcharging, overcurrent, and reverse polarity. It is compatible with most brands of batteries including Sony, Panasonic, Samsung, Sanyo, LG, Energizer, and more. 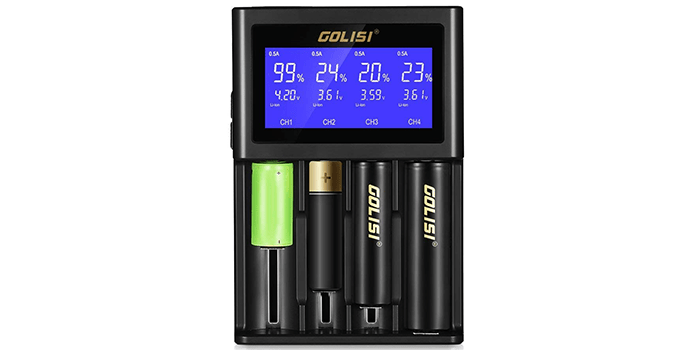 The battery types compatible with this charger are Li-ion, Ni-Mh, and Ni-Cd rechargeable batteries. The LCD screen on the charger displays the essential parameters of the battery including charging time, battery type, voltage, and current. The charger automatically stops providing current to the batteries when they are fully charged. 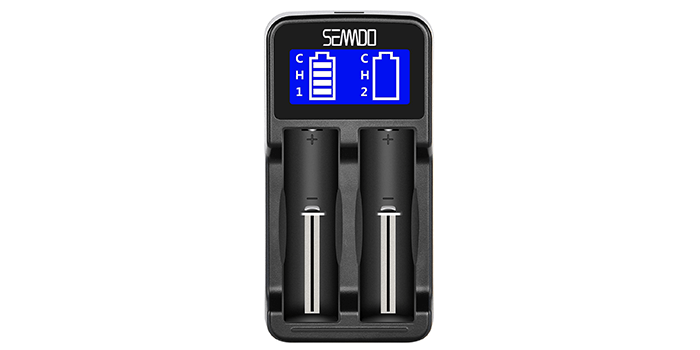 When it comes to efficiency, the Seanado Intelligent Universal Battery Charger stands out for all the right reasons. It uses negative voltage control technology to improve the charging of any type of batteries that you might need it for. The LCD screen displays two individual readings when charging which makes it easier to remove batteries when fully charged. Thanks to the temperature protection feature, the charging process stops if the charger or battery gets too warm. The charger is compatible with a large number of batteries including Li-ion, Ni-MH, Ni-Cd, AAA, AA, and more. 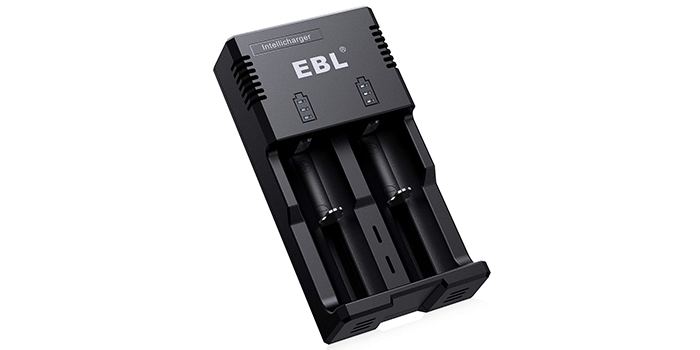 The EBL Battery 992 Universal Charger is definitely one of the best and most intelligent chargers available. Thanks to the iQuick technology, your batteries can be upgraded to 500mA which saves you time when charging. The charger houses 2 batteries at a time and can range from Li-ion, AA, AAA, Ni-MH, and Ni-Cd batteries. It is extremely portable and can be used in cars as well. The MCU technology included ensures that the batteries do not overcharge and the charger shuts off when the batteries are fully charged. 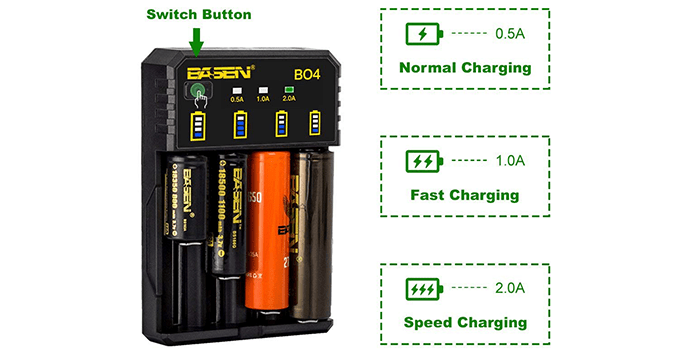 Considered as one of the most efficient battery chargers available at this point in time, the Basen 4-Slot Intelligent Universal Battery Charger stands out for more than a single reason. There are 4 independent charging slots that can house 4 different lithium batteries at a time. The large display on the front automatically detects the type of battery and the current required for each and displays it. You can even check the charging status of the battery on the screen. The charger protects the batteries from short-circuiting and overcharging which expands the lifespan of the batteries. 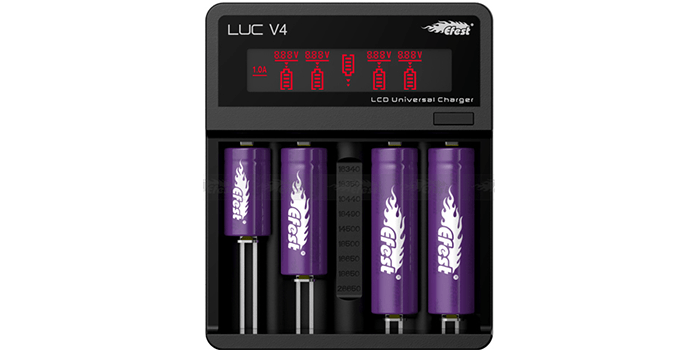 With the Efest LUC V4 Four Slot LCD Universal Charger, you get a number of unique functions that are rare to find in most chargers. The HD LCD screen on the front displays the voltage, battery level, and charging status of individual batteries. It can charge 4 batteries at a time and can automatically detect the battery type and supply the required current for each one. The charger brings various types of protection including over-discharging, over-voltage, short-circuit, and reverse polarity. The charger automatically shuts off when the batteries are fully charged. The charger also comes with a USB port that can be used to charge mobile phones as well. 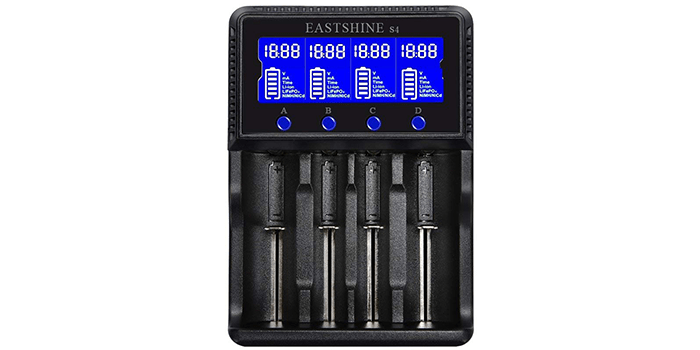 You can charge up to 4 different lithium batteries simultaneously with the help of the Eastshine Universal Smart Battery Charger, which needless to say, sets it apart from the rest. Every battery slot monitors the type of battery and charges it independently. It charges IMR batteries with optimized charging capabilities. With the LCD panel on the front, you can clearly check the battery status, charging time, the capacity of the battery, and other parameters. The charger automatically detects the type of battery and the power required for charging. It also automatically turns off when the batteries are fully charged and comes with temperature monitoring to prevent overheating or overcharging. The Zanflare C4 LCD Display Speedy Universal Battery Charger is truly a universal charger by most standards as it can charge batteries of different specifications at the same time. The LCD screen displays individual battery charging statuses, voltage, current, capacity, and time for each of the batteries being charged. Thanks to the UBS port on the charger, this product can be used as a power bank for mobile devices. Incorporating a state of the art protection technology into the charger, your batteries will always remain protected from short-circuiting and overcharging. 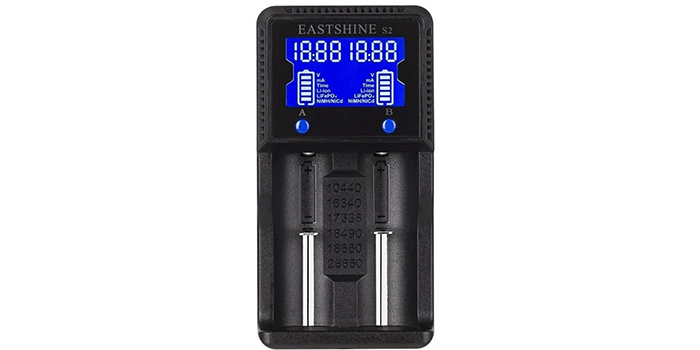 Safety is the number one priority for the Eastshine S2 Universal Battery Charger as it is made with fire retardant materials and has intelligent circuits. It is a universal charger that supports Ni-MH, Ni-Cd AA, AAA, Li-ion, LiFePO, INR, IMR, and ICR type of batteries. It has a speed charge option for a number of batteries. The charger automatically detects the battery type, required voltage, current time, charge mode, and also detects when the batteries are completely charged and automatically shuts off. Also worth mentioning is the LCD screen which displays individual parameters for each battery. 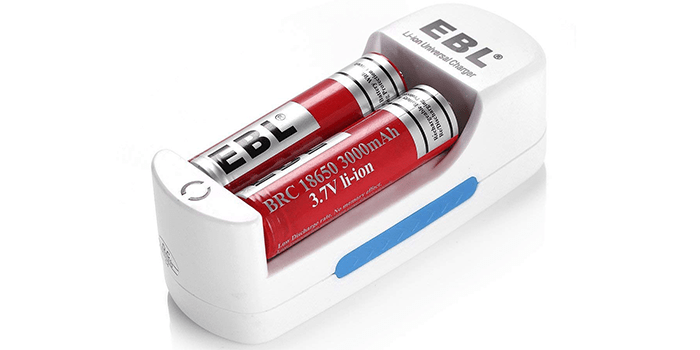 The EBL 839 Lithium Battery Charger is perhaps one of the most reliable out there, even though is designed to charge Lithium batteries only and cannot be used to charge other types of batteries. With the use of MCU control technology, this charger provides constant voltage safety and continuous current to ensure the batteries are protected during the charging process. This way, the charger makes up in strength what it lacks in versatility. Furthermore, it features a red indicator light for when the batteries are inserted which turns to green when the batteries have been completely charged.